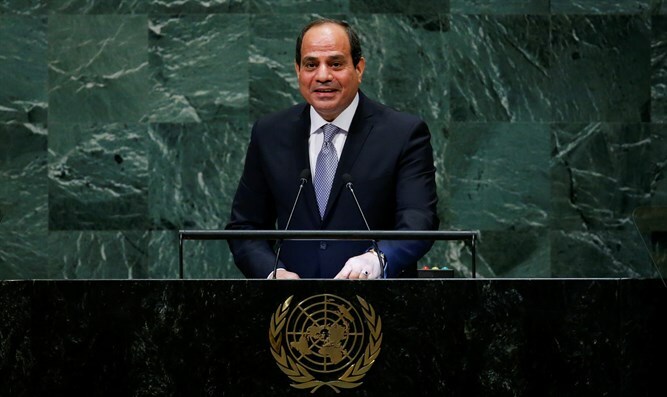 Speaking at UN General Assembly, Egyptian President says peace talks should guarantee establishment of Palestinian state. Egyptian President Abdel Fattah Al-Sisi on Tuesday called for a resumption of negotiations between Israel and the Palestinian Authority (PA) in order to solve their longstanding conflict. Sisi, whose country became the first Arab country to sign a peace treaty with Israel in 1979, has in the past urged Israelis and Palestinian Arabs to take advantage the opportunity and resume peace talks. He has also stressed that his country was serious about pushing those talks forward. His comments come as the US continues to work on a peace proposal for the sides. However, PA chairman Mahmoud Abbas has refused to consider the Trump administration an honest broker for negotiations since Trump’s recognition of Jerusalem as Israel’s capital last December. The PA has already rejected the peace plan before it has even been made public.